Neenah, WI — Marketing professionals from J. J. Keller & Associates, Inc. dedicated their weekend to building public awareness for Big Brothers Big Sisters of the Fox Valley Region. 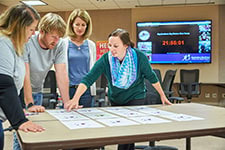 From Friday afternoon, October 6, through Saturday night, October 7, the team of graphic designers, copywriters, direct mail experts and more immersed themselves in creating ways to recruit volunteers as “Bigs” and promote the fiftieth anniversary of the organization in the Fox Valley. The weekend event, called “Give Camp,” is held twice yearly at J. J. Keller & Associates. Give Camp provides J. J. Keller associates, as well as students, with a unique opportunity to give back to the community they love and support a local nonprofit, all while doing what they do best. The J. J. Keller Foundation provides funding for the event. 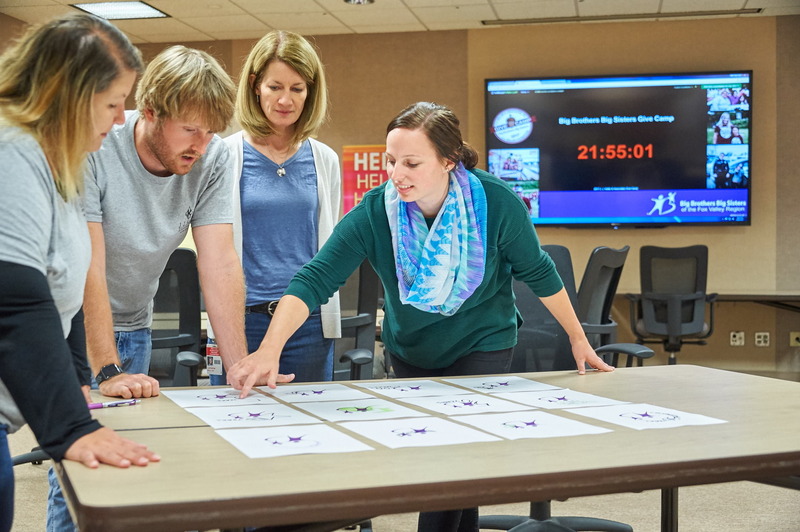 Big Brothers Big Sisters of the Fox Valley Region seeks to provide children facing adversity with strong and enduring, professionally supported one-to-one relationships that change their lives for the better, forever. It was chosen as the nonprofit organization for the J. J. Keller Give Camp from interested nonprofits who had previously received a grant from the J. J. Keller Foundation, through its competitive grants application process. Fenlon provided the foundation with a wish list of projects that would help the nonprofit advance toward its mission, and from there the volunteers at J. J. Keller & Associates pinpointed projects they could complete during Give Camp weekend. About the J. J. Keller Foundation, Inc.